How many shots have you missed? 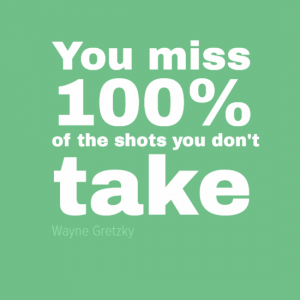 Sporting legend Wayne Gretzky reminds us that we miss 100% of the shots in life that we do not take. Perhaps you also miss 100% of the jobs you don’t apply for or the chances you don’t take? 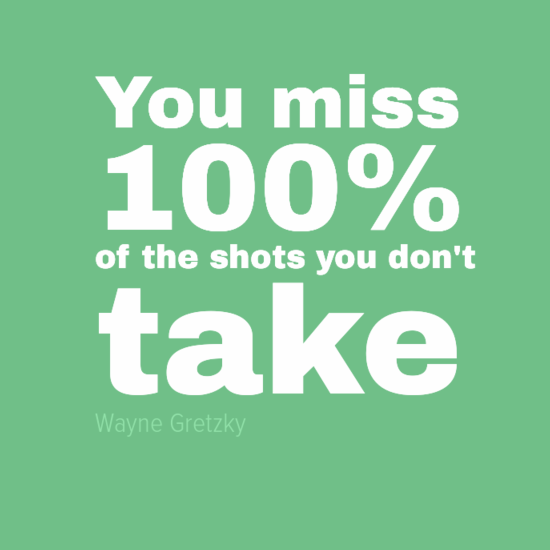 Wayne Gretzky is widely regarded as the greatest ice hockey player of all time. He played 20 seasons as a professional and is the leading points scorer in NHL history. His shirt number 99 was retired when he stopped playing making him the only player in NHL history to receive this honour. He won numerous trophies and medals in his long career and is estimated to have built up a fortune of $200 million.